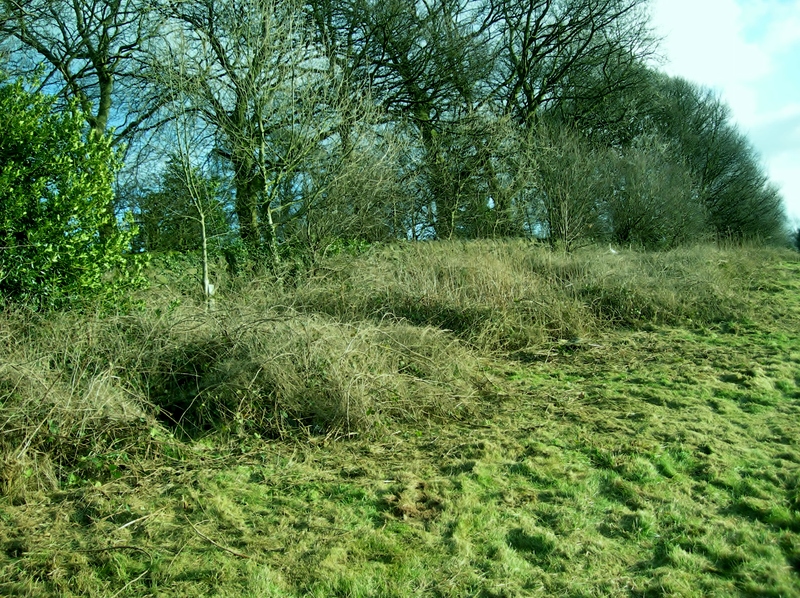 In a wind, cold enough to slice your ears off; rainbows one minute, and scudding clouds across a ‘Middle-earth’ sky the next, Ady Stokes, from Pudsey Landscaping has been ‘respectfully’ scalloping the bramble patch in the north of the park around the ‘sheep fold’ area. Blackberries grow on two year old canes, and need to be managed for a good crop of fruit. The idea is to maintain four areas of bramble patches around the park – creating paths into them for a neater appearance, and easier picking. The four areas are down each side of the park – this will also protect house gardens – on the bank in the wooded area, and the one done this morning along the top wall. Some other areas will be taken out, not least because we need to mend walls, take out old barbed wire fencing, and remove tree saplings. There is a wealth of folklore surrounding bramble patches; they were considered sacred in ancient times, and symbolic of both generosity and grief (understandable considering the mix of fruit and thorn). 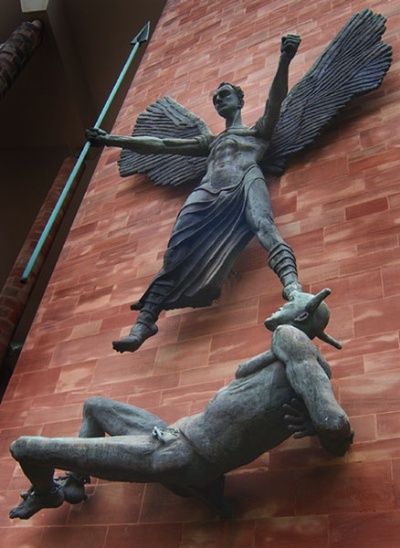 When Lucifer was thrown out of heaven for his proud, covetous ways by Archangel Michael (Isaiah 14:12), he is said to have landed in a bramble bush and cursed it. Thus, many people would not pick blackberries after Michaelmass (29th September) as they were said to cause digestive problems after that date: in truth as Autumn aproaches they lose pectin. That apart, blackberries, or bramble-apples as the Anglo Saxons called them, are said to be a good cure for rheumatism and whooping cough. This entry was posted in Ecology and tagged brambles, lucifer, michaelmass, st michael. Bookmark the permalink.